Have you been living under a rock this week? Then what are you doing! 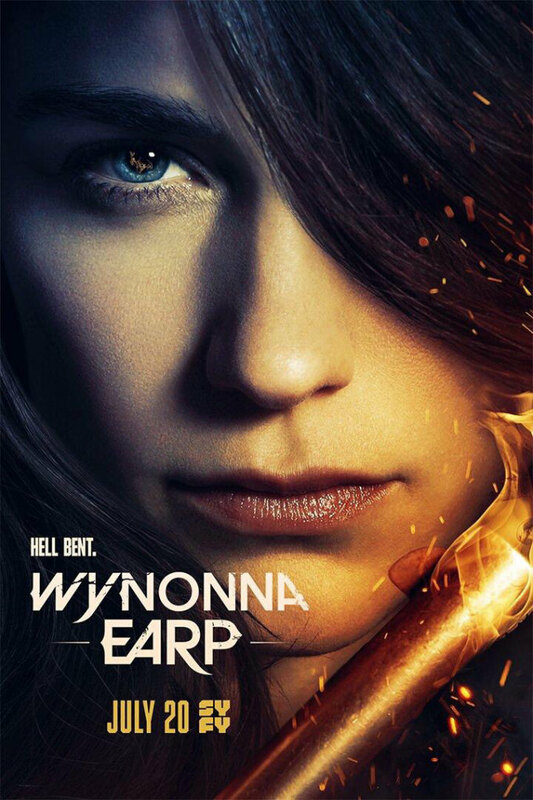 You missed out on SO MUCH Wynonna Earp Season 3 news! It’s a good thing we at Fangirl Den are here to catch you up on the last 7 days in EarperLand! Let’s start with Tuesday’s news and the release of the Cast Photo’s by EW. These photos were released mid-afternoon and broke a certain editor’s Twitter for a few hours (at least until she finally managed to catch up) and are the cause of a number of tears. Oh, but it didn’t stop there! Shortly after, our fearless leader Emily Andras took to Twitter and released the Season 3 Poster. That’s right! 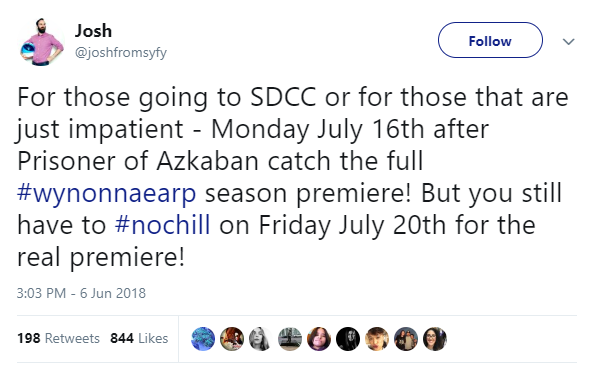 Episode 301 will be shown IN FULL on Syfy on Monday, July 16th, a full four days BEFORE the season premiere! Way to make us Earpers hyperventilate! Then fast forward to Friday to the Wynonna Earp Panel during ATX TV Festival, where fans were treated to a viewing of the Season Three Trailer before it was sent out into the world for Earpers to dissect! WHY IS DOC STANDING IN A CIRCLE WITH A RING?! If it’s the ring that gave him his immortality, I thought that was destroyed! Who decided it was a good idea to uncover Bobo’s well, and why did they do it! Aww, Jeremy has taken his man crush on Doc to a whole new level with that Mustache! Why is Waverly chained up in some weird Red Room? Did Wynonna steal Nicole’s police uniform shirt and that’s why Nicole has a new one? Well, that’s a LOT of kisses! Oh goody, Wynonna in a coffin! Oh no, the Grudge better not be in this! Ok, maybe that was a bit more than a FEW thoughts, but I honestly have more!